Just in time for the All-Star break, which marks the half-way point of the MLB season, the Detroit Tigers have clawed their way back to an above-.500 record, which feels like much more of an accomplishment than it should, but things really do seem to be getting back to the way they should be. The team followed up its strong showing in interleague play by finishing the first half of the season having won five straight and seven of their last nine, earning a 44-42 record. The pitchers seem to be getting settled in (Scherzer leads the AL in some strikeout statistic I forgot, Phil Coke is a workhorse, and Justin Verlander’s done well enough to earn the starting spot for the AL All Stars), and odd-walking liability Delmon Young homered in each of the last four games. Brennan Boesch still is hitting below .250, but Jhonny Peralta seems to be coming on, and Quintin Berry is a joy to watch on the basepaths. Team-wide, defense remains a very frustrating problem, however. While Dirks is out of the walking boot and his achilles is feeling better, getting him back before August is not a good bet at this point. The last week has given the Tigers hope that a second half run is on the horizon. The first three weeks following the break will be telling. Detroit will play 29 straight games against teams over .500. 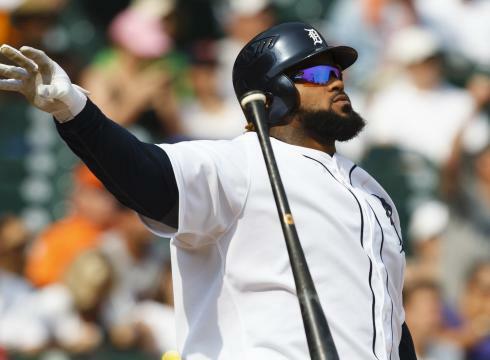 Finally, Prince Fielder will be participating in tonight’s home run derby, as narrated by Chris Berman, and Detroit has to hope that this doesn’t mess up a good thing for the remainder of the season. This entry was posted in ALDLAND and tagged andy dirks, brennan boesch, chris berman, detroit, jhonny peralta, mario impemba, max scherzer, mlb, phil coke, prince fielder, quintin berry, tigers by AD. Bookmark the permalink.